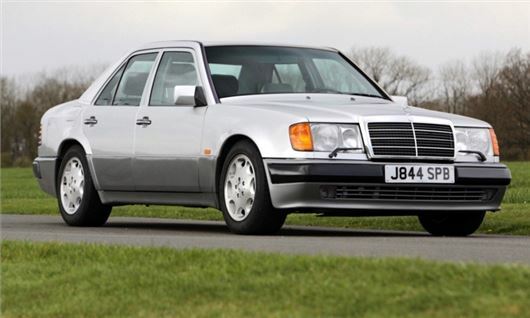 A 1991 Mercedes 500E twice owned by Rowan Atkinson is heading to auction. The star lot will go under the hammer at the Classic Car Auctions sale on 25 May at the Warwickshire Exhibition Centre and is offered with no reserve. Atkinson first bought the car new in 1991 and owned it for four years before selling it on to its second owner, who then owned the car for the next 23 years. Rowan then repurchased the car in July 2017. This Mercedes 500E is one of 29 UK supplied cars in left-hand drive. Under the bonnet is a 5.0-litre V8, which goes from 0-62 mph in 5.5 seconds and marches all the way to 161mph. It has regularly been featured in Car magazine over the years and comes with a comprehensive history file and has an MOT until 2020.